A special performance configured just for Baur’s Listening Lounge — Alexander Bedenko, Katie Mahan, Basil Vendryes will take you on a musical journey into live unplugged chamber music. Loaded to the brim with award winning performers and a line up that read’s like the who’s who in classical music, this unique performance will kick off at 7:30 PM on June 2nd. Born in 1982 in Kharkov, Ukraine, Mr. Bedenko graduated from The Curtis Institute of Music in 2005, where he studied with Donald Montanaro. Alexander has claimed prizes in major competitions, including the 1994 First Prize and Laureate from the Second International Young Artist’s Competition in Moscow, the 1995-96 first prize winner of the Interlochen Center for the Arts Concerto Competition, and the 1999 Grand-Prix and Laureate of the International Open Clarinet. His accomplishments range from taking top honors at major international competitions to holding principal positions with leading orchestras under world-renowned conductors. He’s been in demand as both soloist and ensemble player – attracting the attention of major conductors, as well as leading orchestras, ensembles, and festivals in the United States, Europe and Asia. Born in 1961 to West Indian parents, and began his musical training in the public schools at the age of eleven. He received scholarships to the Manhattan School of Music and the Eastman School of Music, where he studied with Sally O’Reilly, Francis Tursi and Heidi Castleman. He has appeared as soloist with the Colorado, Aurora, Jefferson, Littleton, Lamont, Centennial, and Biola Symphonies, among others. Basil Vendryes has been Principal Violist of the Colorado Symphony Orchestra since 1993. He is a former member of the San Francisco Symphony, the New York Philharmonic and the Rochester Philharmonic orchestras. As violist with the Aurora String Quartet (1986-95) Mr. Vendryes performed extensively, including recitals in New York, London and Tokyo. He currently serves on the faculties of the Lamont School of Music of the University of Denver, the Quartet Program at SUNY Fredonia, New York and the Green Valley Music Festival in Las Vegas, Nevada.. Working with promising talent is one of his passions, and Basil has given classes in viola and chamber music throughout the United States. Mr. Vendryes was a juror for the 2000 Sphinx Competition for African American and Latino string players. 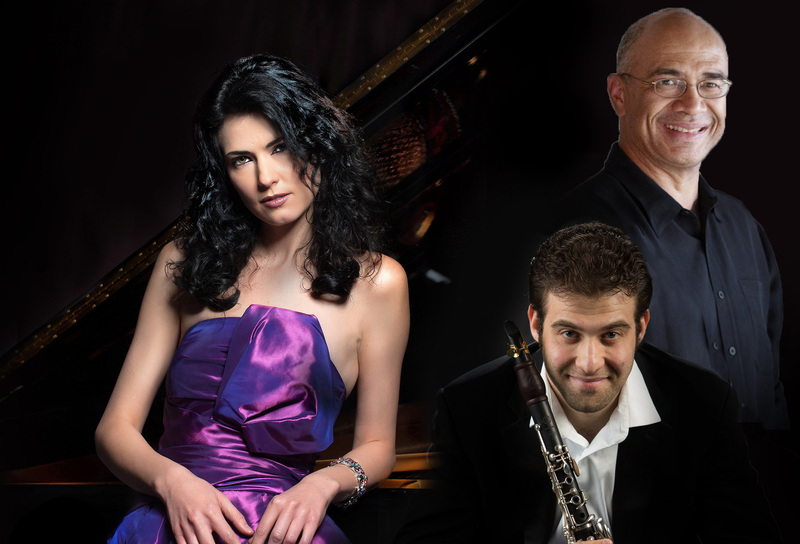 A number of limited tickets and membership packages are on sale now for this exciting chamber music event at www.masmusic.org. Baur’s Restaurant will be in full swing and open for business on June 2nd, ticket buyers are encouraged to make advance reservations at (303) 615-4000. Preceded by a reception in honor of Schmitt Music, beginning – 6:30 PM. All ticket holders are welcome.